People often participate in adventure activities and sports activities that are arranged by other agencies. However, these activities could have certain ill effects or risks. In such cases, the agency does not want to be held responsible for these. Thus, the agencies ask their participants to sign a liability waiver claiming that they are well aware of the risks and are liable for any untoward instances. Using a Liability Forms helps the agency in drafting a unique one for itself. 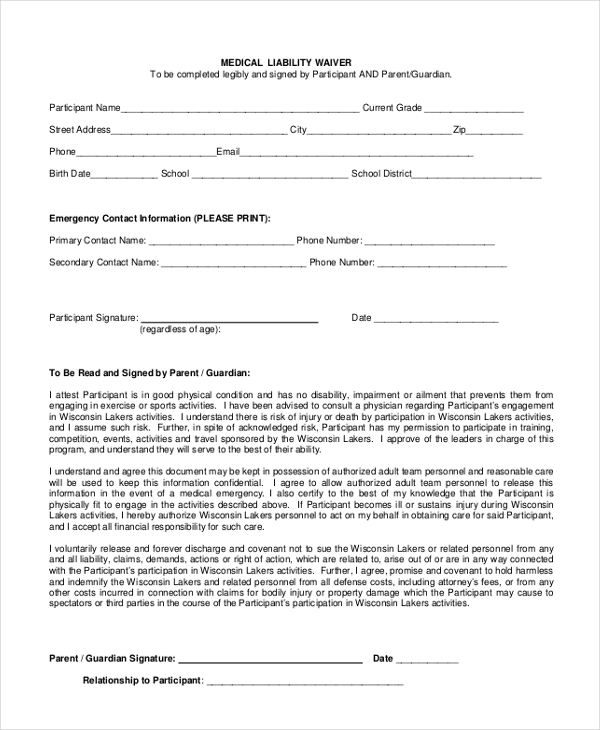 This form can be used by any adventure or sports club to ask their participants to waive them off any responsibility in case of an accident or an untoward event. Using the form gives them an idea of the right way to frame the content. 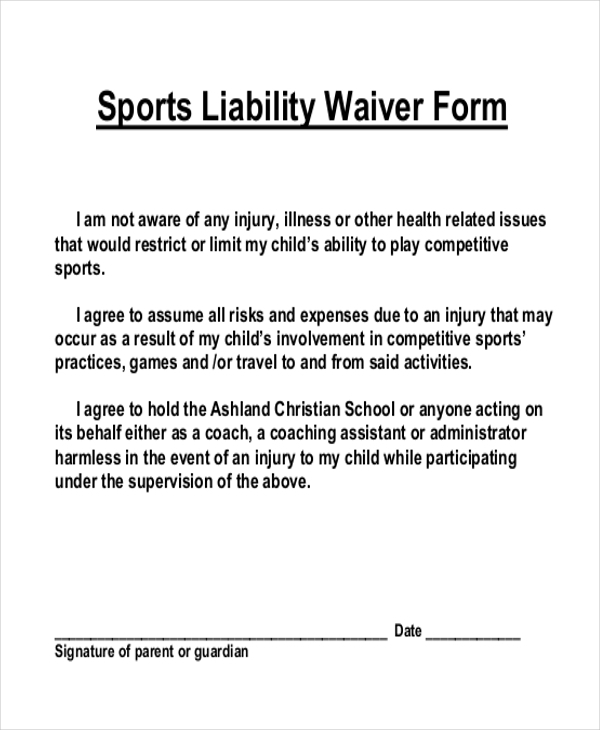 You may also see Waiver of Liability Forms. This form is used by an adventure club to ensure that the participants enrolling in their activities are aware of the risks they are undertaking. 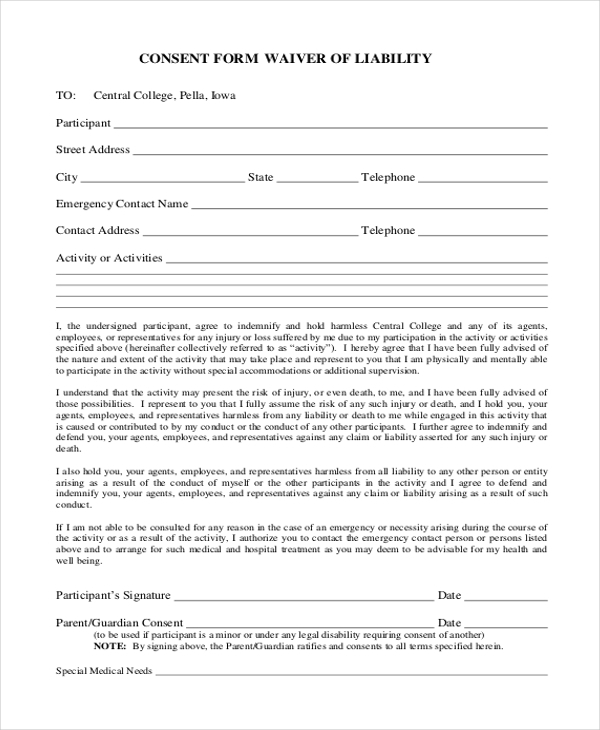 By signing this form the participants waive off any liability that the club may have in case of an accident. When an organization hires the service of an independent contractor for some repair work that can be a tad risky, they expect the contractor to sign this form to ensure that they are not held liable for any untoward incident caused during the service. As the name indicates, this form is used by a sports committee or a sports club. 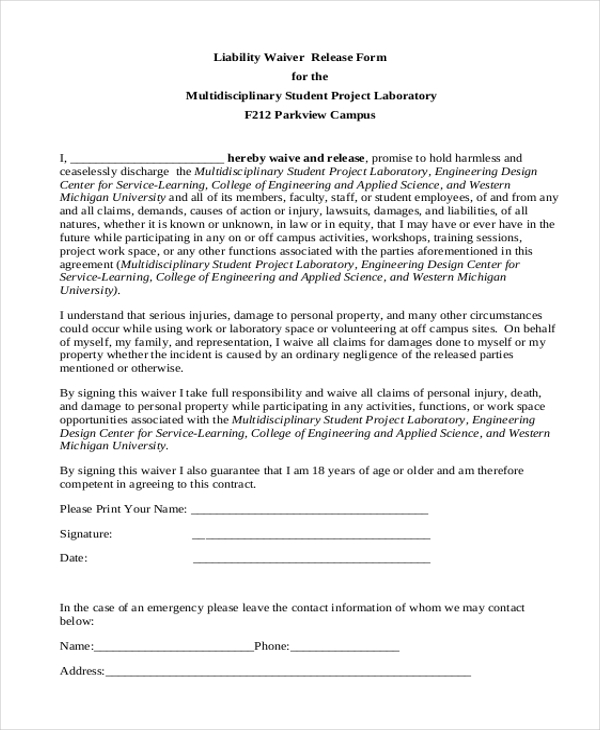 It asks its participants to sign this form in order to ensure that in case of a mishap, they are not held responsible. 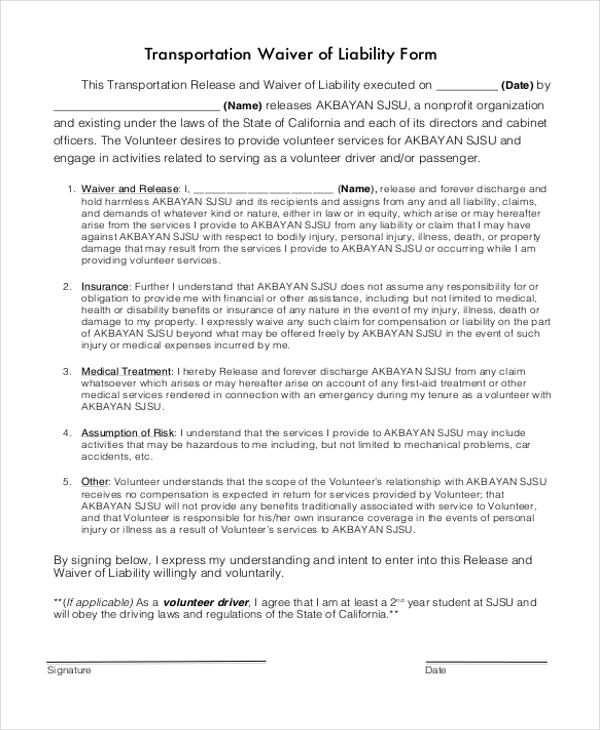 A transportation company that offers its services to other organizations uses this form to waive off any responsibility in case of an accident or mishap while offering its services to the organization. When an adult participates in an adventure activity, the concerned authority expects him or her to sign this form to ensure that the company is in no way held responsible for any untoward event or mishap. 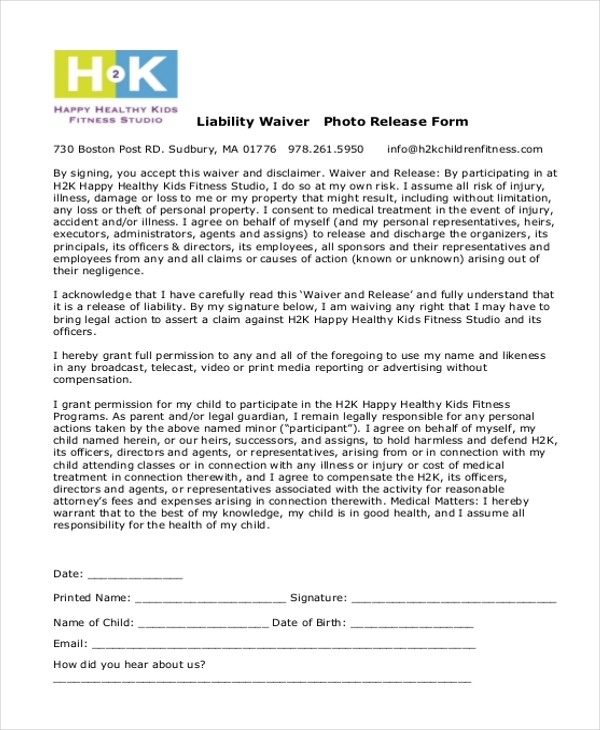 When a person participates in a general photo shoot, he or she is made to sign this waiver form to declare that they are well aware of the fact that the photo may be released to various mediums and should not hold the arrangers responsible for this.You can also see Liability Release Forms. When a person consents to participating in a risky activity and is required to sign a contract that eases off any responsibility that the activity conductors may have in case of a mishap, in such cases the aforesaid form is used. You can also see General Liability Forms. 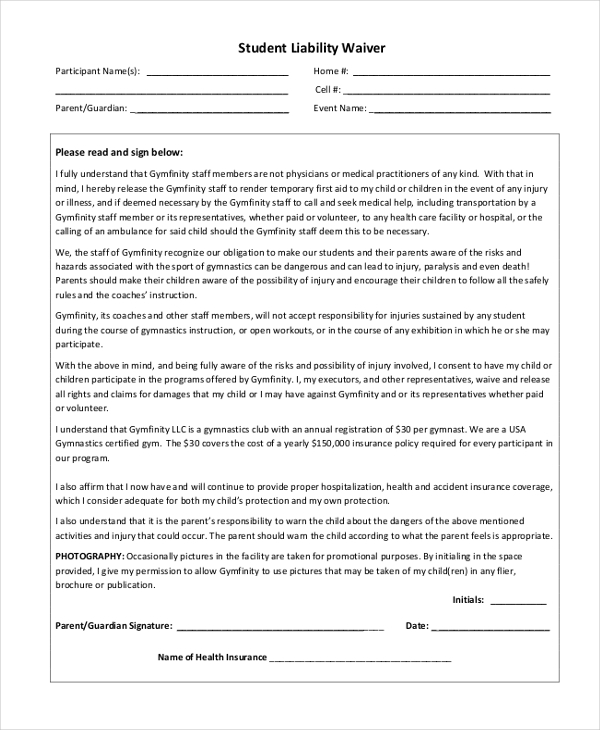 This form is used by schools and colleges and is signed by the students or their parents. By signing the form the parties agree to be aware of the risks of the activity and free the school/college of any liability in case of an accident. Hospitals and surgical clinics make use of these forms and get them signed from a patient or his next of kin before he undergoes a surgery. By signing the form the patient frees the medical facility of any responsibility in case of a mishap. 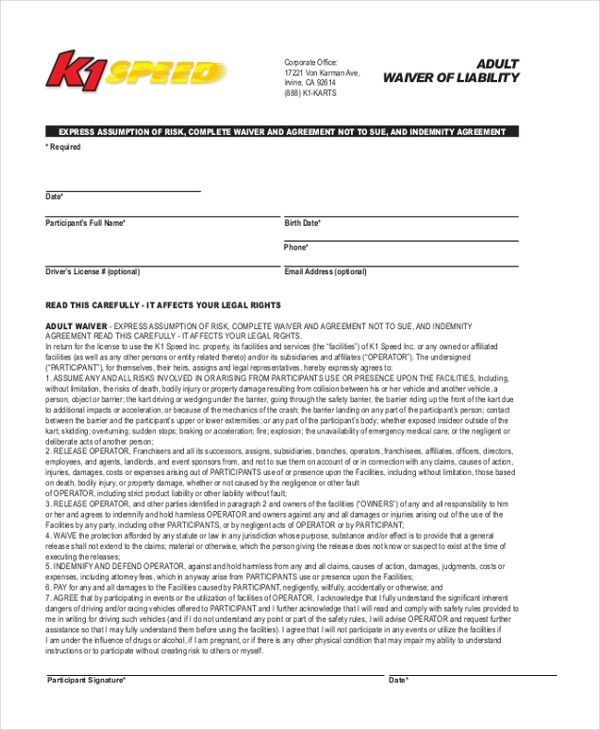 You may also see Sample Liability Forms. 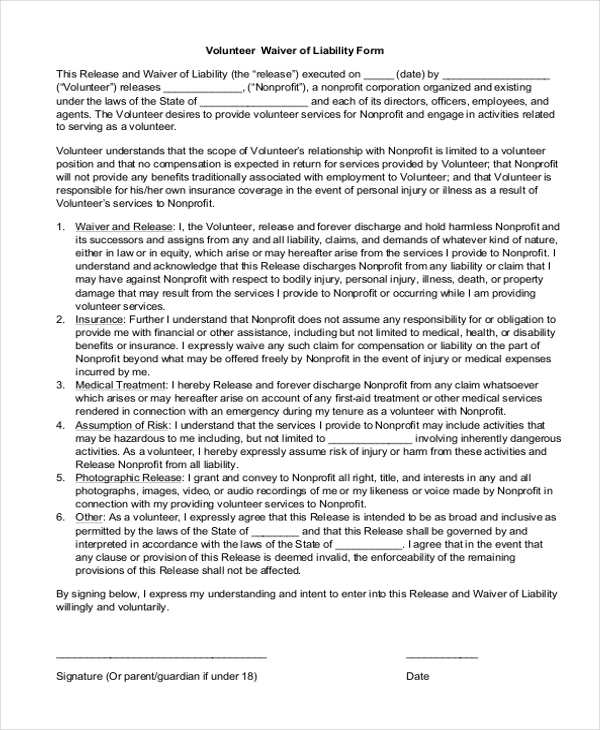 Nonprofit organizations ask their volunteers to sign this form to ensure that in case of an untoward event like contracting a disease or threat to life, the organization is not held responsible. 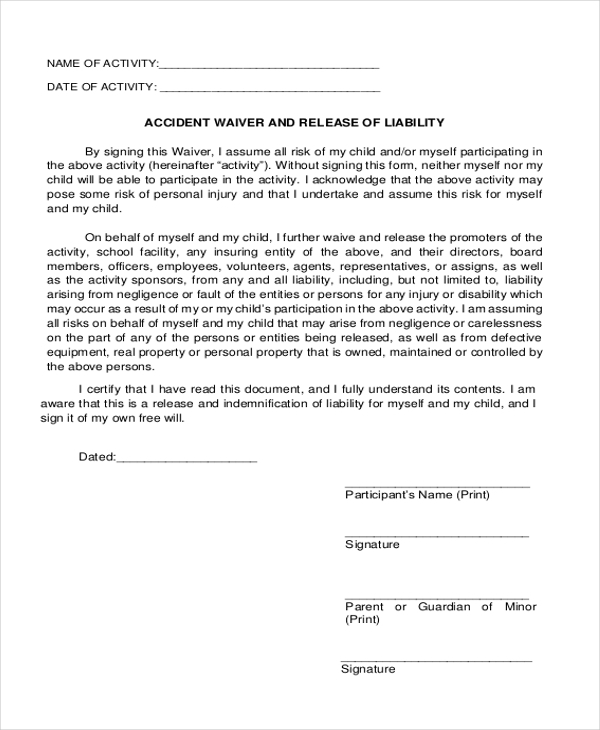 What are The Benefits of Using Liability Waiver Forms? In case you are thinking of designing a liability waiver form, go ahead and take a look at the wide range of these forms that we have to offer. 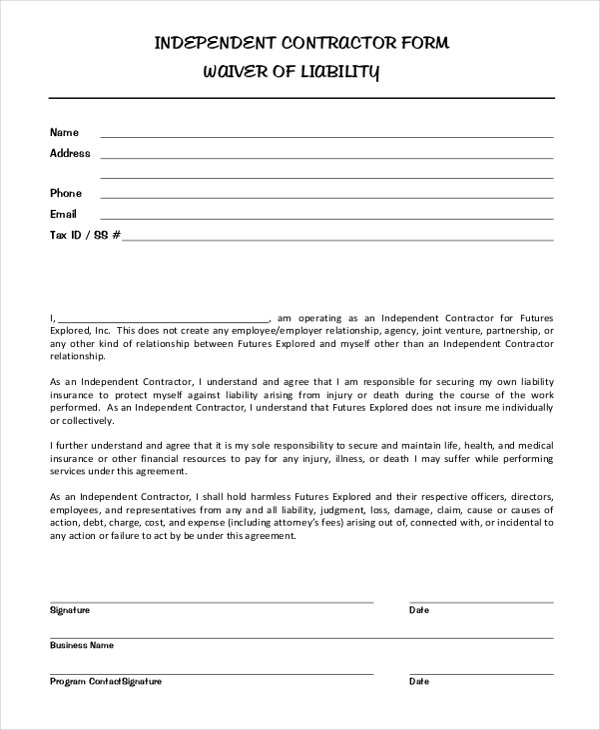 Easy to download and customize, using these forms can help you design a unique liability waiver form in a jiffy. These forms are extremely cost effective and an ideal choice for all. You can also see Release of Liability Forms.